A dark film with an interesting mystery at it’s center, that just takes a little too long to start coming together. 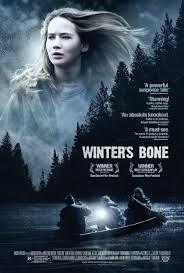 Winter’s bone is a very strange and even disturbing movie. That word, disturbing, is something that I don’t throw around so easily. How can you, in today’s day and age, when everything is meant to one up the ideas that came before it and the more horrific means the more people will talk about it. People like to see terrible things on film, just look at the success of movies like saw and hostel. and critics like to see a movie that looks like artwork, but is unpredictable and unique and not afraid to take risks. winter’s bone is all of those things. The movie is about a girl, named Ree, played by oscar nominated actress jennifer lawrence. Ree spends the movie searching for her father. She lives at home with her looney bin mother and her two younger siblings. she is basically raising the young ones all by herself. her father apparently put up their house in order to pay his bail and make it to a courthouse appearance and has now skipped town. or something like that. nobody really knows where he is, but so long as he doesn’t show up in court, the county is going to take the house away from the family. And that’s where the problem starts for Ree. she needs to find her father and get him to come in. that’s her mission. and so she sets off, like any classic hero tale, with a goal in mind, and leaves her home to begin her quest. it’s a very simple initial premise, and that’s a good thing. no need to be all fancy and start off with flashbacks or anything like that. this movie keeps it real and tells it like it is, and it starts things off right away with announcing the mission and setting it’s character off on her way. unfortunately, for the next half an hour, that mission seems to go absolutely nowhere at all. Ree goes from place to place and visits neighbors asking questions, but gets no answers or even clues. some mystery. many of the characters she comes across are similar to each other, which makes it all just kind of blend together as one mish-mosh of nothingness. and nobody is especially nice to her either, which doesn’t help. 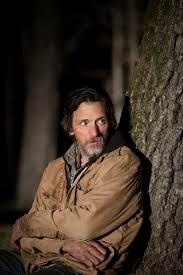 she goes to see her uncle, tear drop (oscar nominated john hawkes), and he is just like the rest, unwilling to help. well, as it turns out there is a secret there, that the main character knows, but the movie cleverly hides from the audience for a while. the secret is about something the father did, that explains why people aren’t really in such a hurry to help Ree out. And once the movie crosses about the half way point, we get a pretty big scene where ree meets some trouble of her own, and suddenly things are a lot more interesting. this is one of those movies where it’s difficult to say much about it without giving things away. I’m not one to shout out the word “spoilers,” and assume that the only people reading from then on are those who already saw the movie. that’s kind of ridiculous if you ask me, since this is mostly written for people who want to know if they or should not see the movie. and so i won’t give away what is so disturbing, as it is basically the ending or climax of the film. Instead I’ll say that questions do get answered, but not in the way that ree or even the audience could have ever expected. for whatever reason, whether it is the influence of tear drop (who does seem to care after all), or the people of the town, answers do start to get cleared up and come to the surface. tear drop has a couple of good scenes himself, like one where he basically has a stand off against a police officer while sitting in his car. and i love the follow up conversation the next day between ree and the officer who wants to make sure it doesn’t go around town that he was the one who backed down. I could have gone without the scenes of ripping apart and removing the organs of a squirrel, but i guess they served their purpose, which was to show just how bad things were for this family. this is certainly a hard movie to deal with, showing depravity and run down people living unpleasant lives. I enjoyed where the second half of the movie went. the “disturbing” parts were actually some of the better moments of the film, because they were memorable and different. and like the critics, i can appreciate that. the last thing anybody wants to see is the same thing they’ve seen before, over and over again, and this movie is certainly not that. it is absolutely a mystery that answers it’s questions in ways that are smart and also unpredictable. but what doesn’t work for me is the first half of the film, where poor ree really does go from place to place without getting any answers. I would have much preferred it if she got small clues that led her from one place to the next, or even red herrings, that seemed to be amounting to something. that first half wasn’t terrible or anything, but it did slow the movie down quite a bit. the second half was nearly good enough to make up for it, but not quite.